Earth beautiful, and Life without regret. La Tierra – y una Vida sin arrepentimiento. 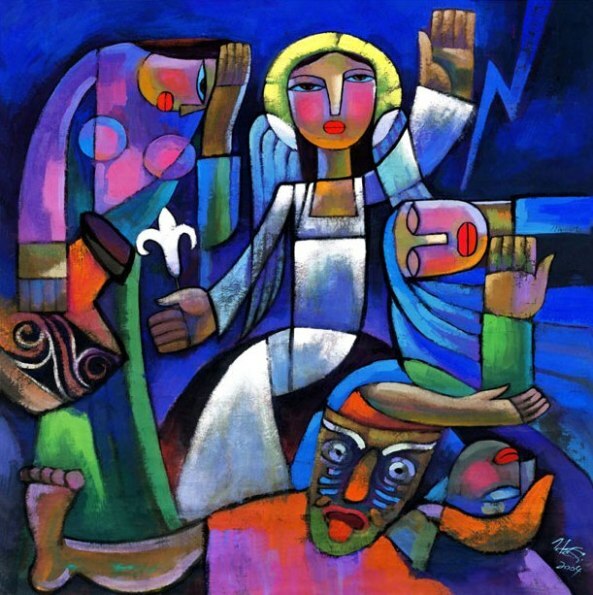 Image: He Qi is a contemporary painter of religious themes. Here a triumphant angel announces that Our Redeemer Liveth. The women are not especially awake yet, and seem unaware of what has happened. They still mourn, but the angel tells them that the time of grief is over. Instead of a military-style banner often held by Christ in such triumphal depictions, He Qi has his angel bearing a luminous lily – symbol of purity and peace.